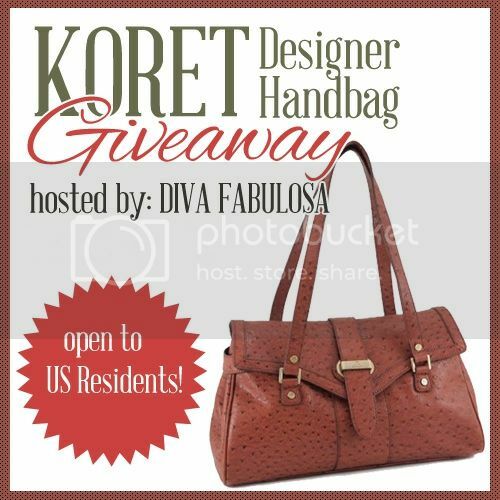 One lucky winner will win a Koret Pure Ostrich East/West Satchel pictured above! Koret Handbags aren’t just stylish but also proven to have the highest quality at a cheaper price. Their vast selection of items can also keep up it with those hard-to-pronounce designer bags that are too expensive to own. The company was started by Richard Koret in 1929 and over time he was able to innovate the image of handbags with his awesome creativity. At present, the company is being run by Grace Han, the president of Chateau International who continued the legacy of Koret after he died in a plane crash in 1965. If you want a designer bag that won’t make a hole in your pocket, you should definitely check out Koret! Disclosure: I received no compensation for this publication. My opinions are my own and may differ from those of your own. KIKAY CORNER is not responsible for sponsor prize shipment. im eyeing on this baby: Pure Ostrich East/West Satchel in RED =) haay..